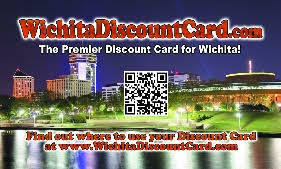 Do you want a local discount card so you can start saving money at your favorite local businesses? Well of course you do! Keep reading to find out how to get your card. If you don't see your favorite merchant, please encourage them to join! If your organization or business would like to participate in our fundraising or sponsorship programs, CONTACT US AT: 316-351-4536.